Rupert Murdoch and 21st Century Fox were cleared to bid for control of Britain’s Sky broadcasting. LONDON — The deal battle between Comcast and the Walt Disney Co. has picked up and is now focused on a jewel of Europe’s media industry. As companies in the sector pursue a strategy of bigger is better amid a wave of consolidation, two of the biggest players are poised to wage what could be a costly bidding war for the satellite broadcaster Sky. In a move that sets up that contest, Matthew Hancock, Britain’s culture secretary, said Tuesday that Twenty-First Century Fox should be allowed to bid for control of Sky. Fox had waited months for such clearance. The government’s preliminary decision — which still requires the sale of Sky News, the broadcaster’s 24-hour news channel — underscores a bigger fight. Comcast and Disney are circling the wagons to fight over the bulk of Rupert Murdoch’s media empire, which already includes 39 percent of Sky. Underpinning the fight between Disney and Comcast is a tectonic shift that has reshaped the media industry globally. As consumers watch more online, and digital giants like Netflix and Amazon grow more powerful, traditional content providers appear to have collectively decided on a response: deal-making. Disney agreed in December to buy most of Fox, including its Sky stake, the movie studio Twentieth Century Fox, and the Indian broadcaster Star. Comcast is expected to decide within weeks whether it will directly challenge that deal. Separately, AT&T has offered $85.4 billion for Time Warner. Companies worldwide are paying billions of dollars for exclusive sports broadcast rights. In the short term, Comcast is likely to press ahead with its quest to buy Sky — and force Murdoch and Disney to pay up if they want to win. Sky would play an important role in both Disney’s and Comcast’s future-proofing efforts. The London-based broadcaster and Internet service provider has 23 million customers across five countries and owns valuable broadcasting rights to English Premier League games, Formula One races, and other sporting events. It also produces its own entertainment programs and has a streaming service, Now TV. In other words, it is the kind of one-stop shop that Comcast and AT&T want to be. Fox’s offer, first submitted in December 2016, values Sky at about 18.5 billion pounds, or about $25 billion. In April, Comcast unveiled a rival offer, valuing the broadcaster at $29 billion. Murdoch has long coveted regaining control of the broadcaster, which he founded in 1989. He tried once before to buy out other investors in the company, in 2010, but was forced to withdraw amid furor over a phone-hacking scandal involving his British tabloid empire. When Fox made its latest bid for Sky in 2016, regulators were again wary of letting the offer go through. 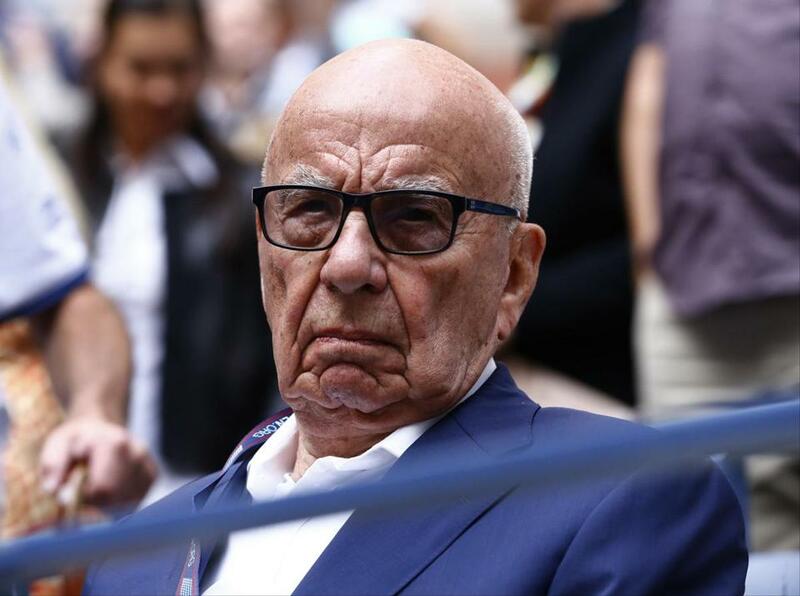 The Murdochs are divisive figures in Britain and control not only Sky but also News Corp., which runs some of the country’s most popular newspapers. Lawmakers and regulators alike have openly questioned whether the family should have so much control over British news outlets. Fox has sought to assuage their concerns, promising to maintain the editorial independence of Sky’s news arm. Ultimately, Hancock, the culture secretary, insisted that Sky News be sold to protect its integrity. He told Parliament on Tuesday afternoon that the news operation could be sold to Disney, as Fox has proposed, or to another buyer, as long as it remained financially viable. What will mostly likely come next are internal deliberations within Fox and Disney about how much to raise their offer for Sky. Shares in the British broadcaster have jumped 22 percent since February, when Comcast announced its plans to challenge Fox’s bid. Sky, which withdrew its support for Fox’s bid once Comcast made a formal takeover offer in April, said in its own statement that its independent directors would focus on what would fetch the most value for shareholders.